Howdy, hello Saturday! Its a long weekend yet again, where would you go? I have seen an android app called Booky where they offer a Buy 1 Take 1 Promo! I am yet to try but I am giving off this tip, just in case you are out for a food trip this weekend. With every family or friends get away its ideal to always put our best face forward. However there are sudden breakouts, luckily I can count on Acne gels. Spot treatments works best for sudden breakouts. 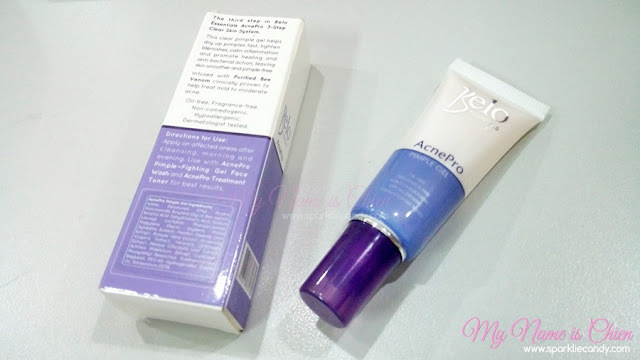 Right now what I use is Belo Essentials AcnePro Pimple Gel. The third step in Belo Essentials AcnePro 3-Step Clear Skin System. It helps dry up pimples fast, calm inflammation and promote healing and anti-bacterial action, leaving skin smoother and pimple-free. Infused with Purified Bee Venom clinically proven to help heal mild to moderate acne. Bee venom really? Its my first time to encounter a product made out of bee venom. For acne its usually tea tree oil. The Belo Essentials Acne Gel has a lavender and white combination. The gel tube is made of plastic and comes with a box. I appreciate that the expiration is indicated at the side of the box, it says ' 03/20'. 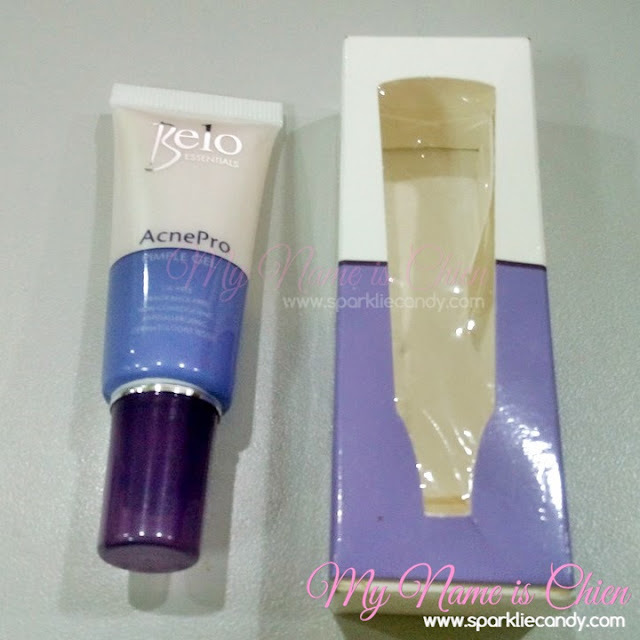 First things first, Belo Essentials AcnePro Pimple gel has this off smell. I know it says unscented bu it does have a weird scent to it. Its not a big deal though, I would like to assume that its the bee venom since its the key ingredient. Glad this scent is very mild. The Pimple Gel comes as transparent (like aloe vera). The tube dispenses enough gel fot the application. I only use a pea size amount enough for my breakouts. The gel can be easily absorbed. Its not sticky at all. I might switch back to Celeteque or Avon Acne Gel since they work on my red acnes. 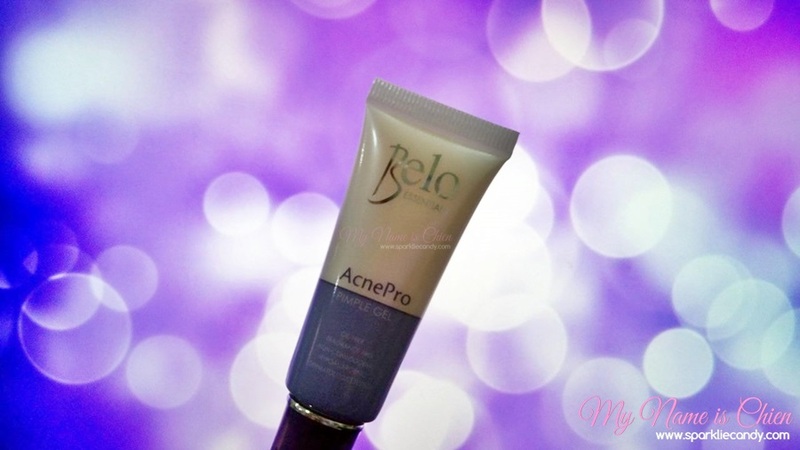 Belo Essentials AcnePro Pimple Gel is best used to avoid new pimples. Its not for me though because I already have existing ones! You may try it yourself to see if it works on yoh or not. My sister likes this and says it works on her pimples. I have used this acne pro gel to get rid off acne. To be honest nothing can be better than this. I highly recommend this product.